These geometric drop earrings will add drama and statement to your look. From jeans to office to party you will be polished and stand out above the pack. 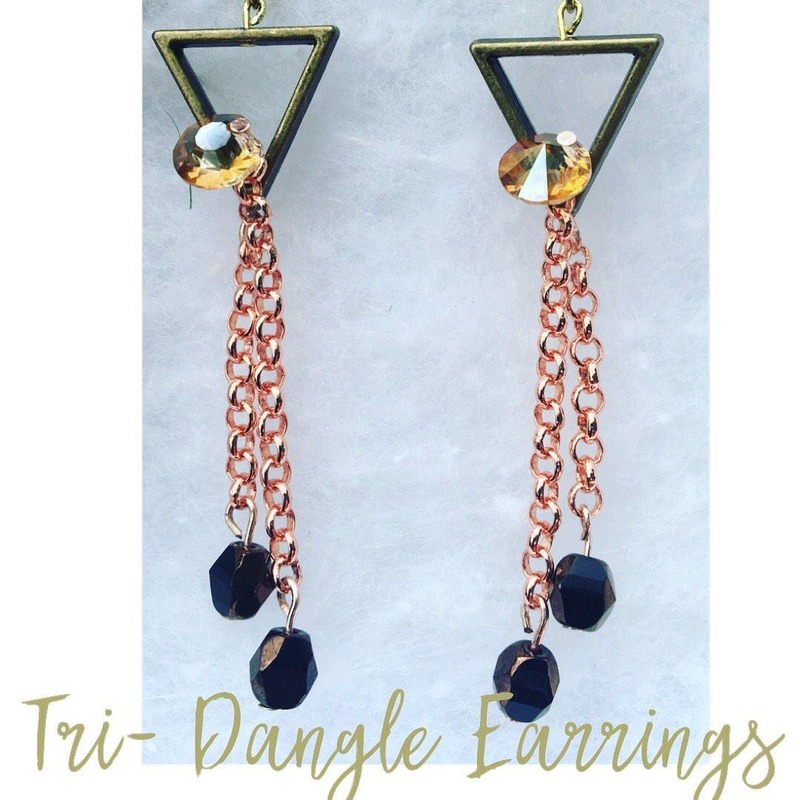 A dusted metal triangle, amber and chocolate crystal and copper rolo chain combine in a truly stunning piece. Designed in the RAreHandsBoutique studio by myself owner/designer Kate. I have struggled with Rhuematoid Arrhritis for almost 20 years, RArehands was started to inspire those with chronic illness to continue creative pursuits as a form of therapy. We give back 10% of all profits to Arthritis research.